Sandy Lewis was born and raised in south Louisiana dancing to Cajun and Zydeco music. After moving to Barcelona she began swing dancing and immediately fell in love with collegiate shag. Besides shag, you can find her dancing balboa, boogie and even a little bit of blues all around the world. Martí Gasol can be found climbing mountains, skiing and dancing swing on the dance floors around Europe and beyond. 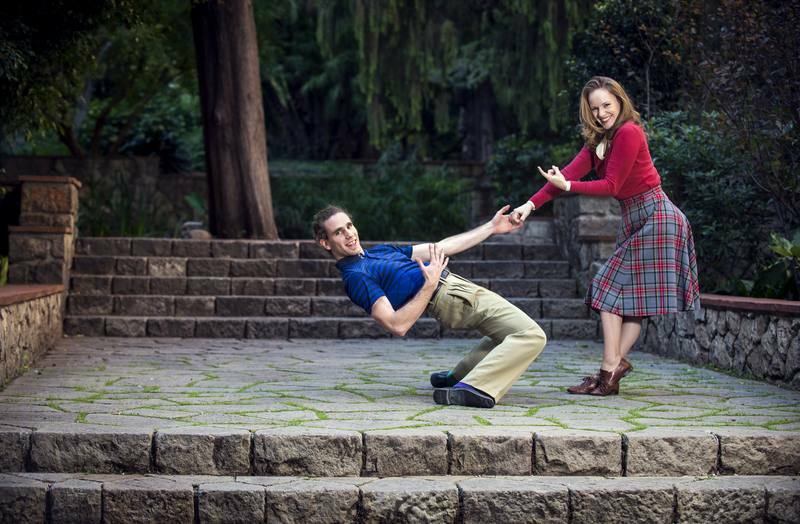 He’s an avid boogie dancer and award-winning lindy hopper. Sandy and Martí united as partners in their passion for collegiate shag just two short years ago and they have been trotting the globe and teaching the dance in cities such as Copenhagen, Hamburg and now Warsaw! They are both founding members of the Barcelona Shag Society, which aims to bring collegiate shag dance and culture to the forefront of Barcelona’s dance scene. These two crazy kids love to show off their skills in energetic choreos and keep it fun. Their classes focus on technique and musicality, and they work harder every day to bring shag to their students. Oh, and they’re both big fans of pierogis and kielbasa!